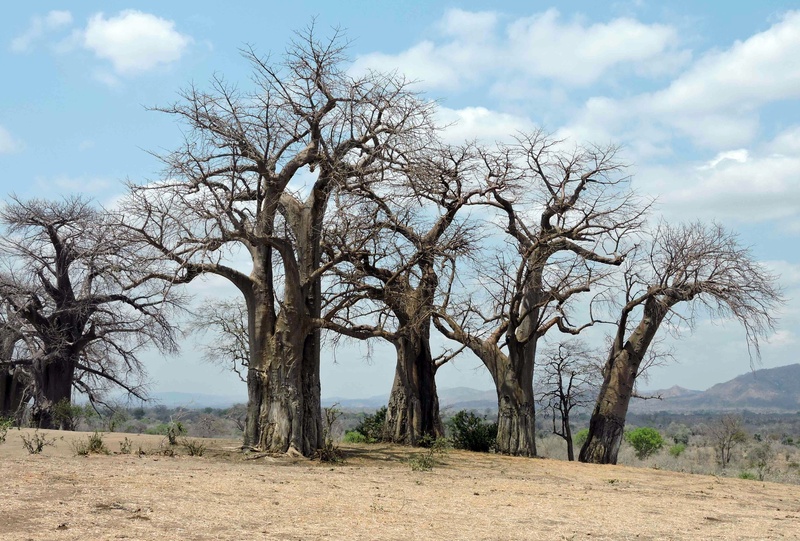 All baobabs are special but there are a number of “famous” ones. Clive Walker highlights a number of them, some well known, some less but all interesting. 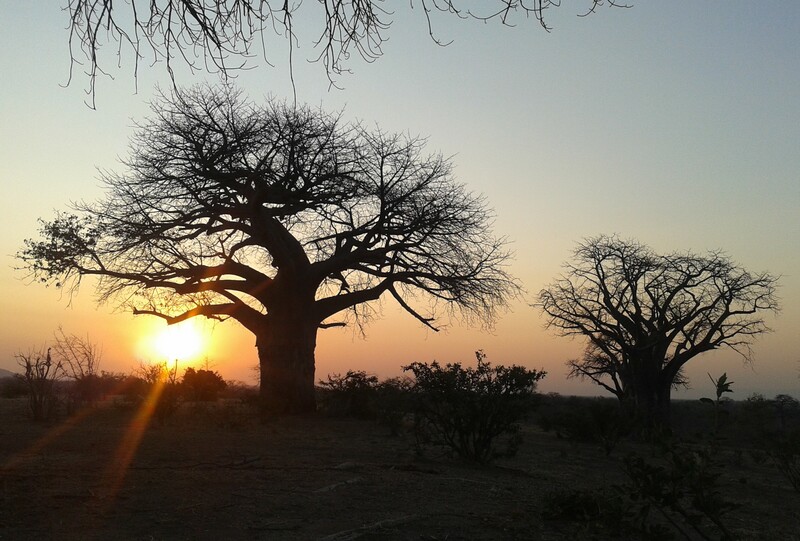 I am sure most people keen in Africa and its nature have read or heard about Baines’, Green’s and Chapman’s baobabs in Botswana, the Pioneer’s baobab and the “Big tree” in Zimbabwe, the Sagole and Sunland giants in South Africa and the Toilet tree of Namibia to name some. We were lucky to visit Katima Mulilo in Namibia at a time that the toilet was still there and it was one of the unforgettable sights of our travelling life. 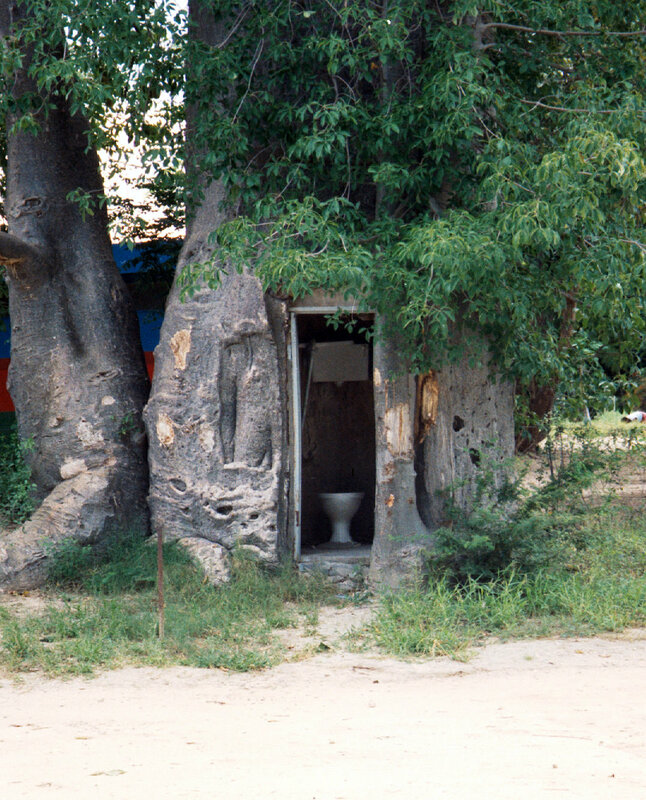 The “toilet baobab” at Katima Mulilo, Namibia. 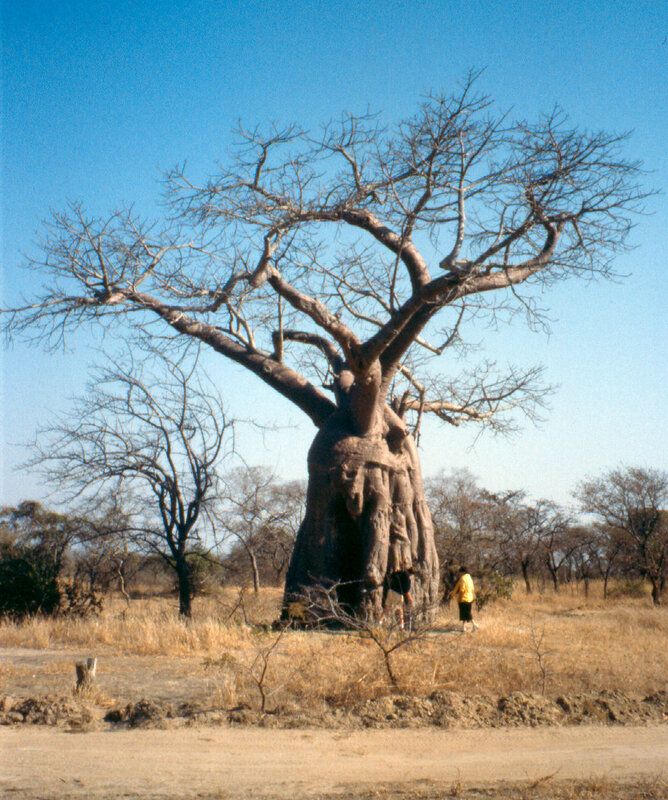 A close up of the “toilet baobab” at Katima Mulilo, Namibia. 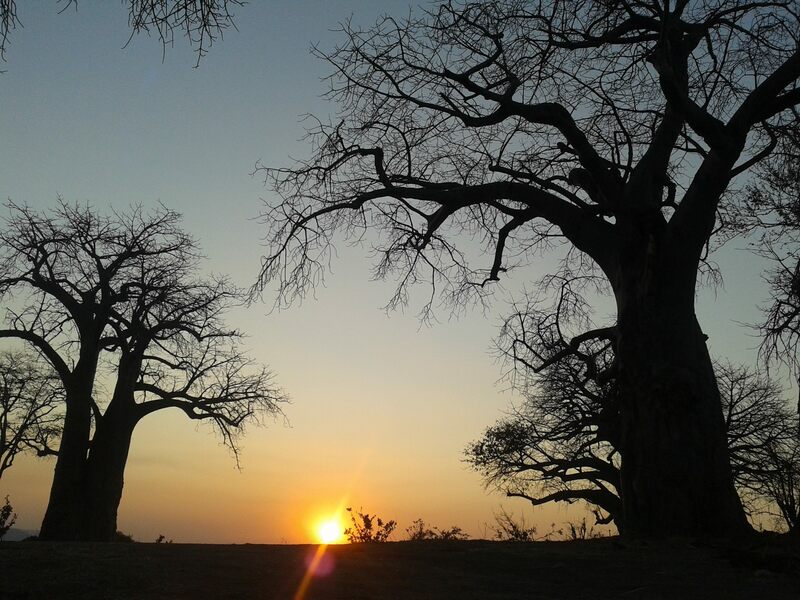 However, all baobabs that you see are special in their own way and have their own special features. 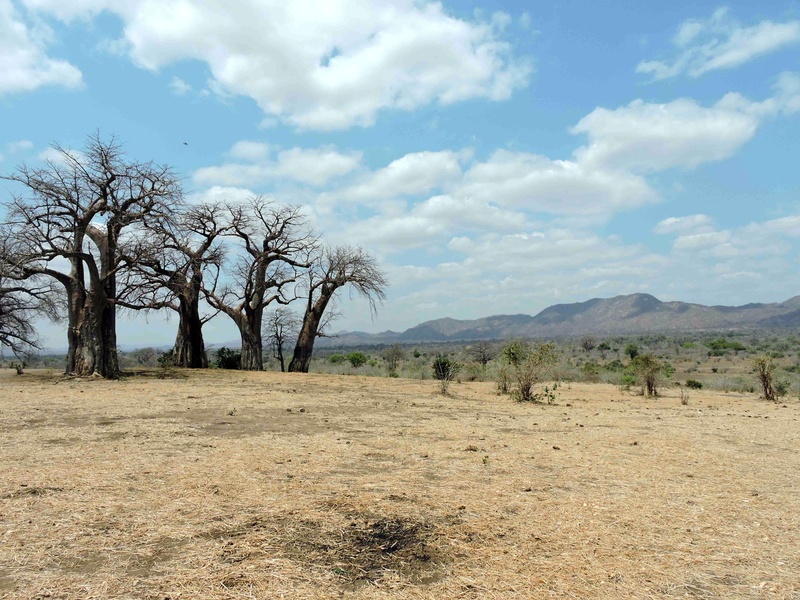 I recall the sorrow felt by Carlo, an Italian friend that came for a safari to Gonarezhou, when he saw the damage elephants do to these wonderful trees. 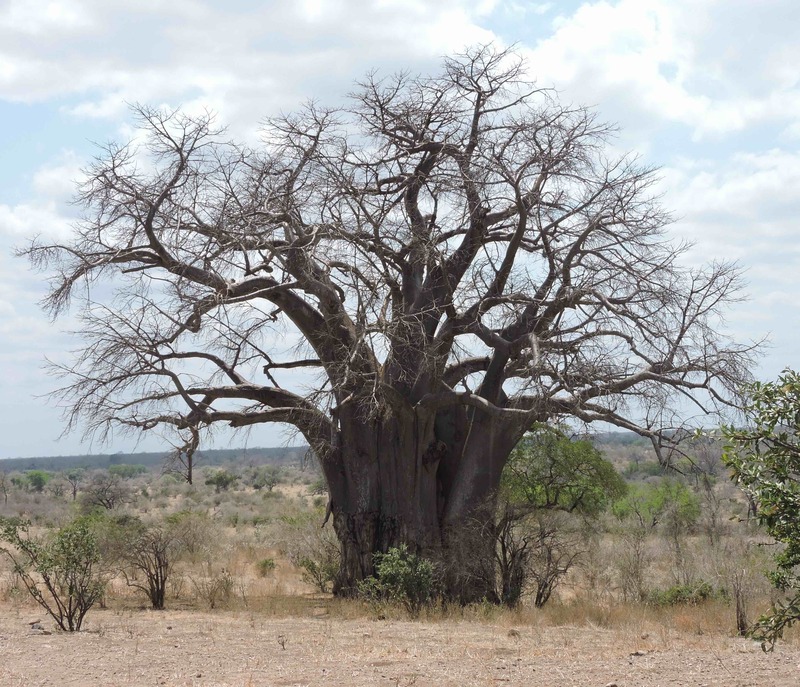 There was also a large baobab at Lochinvar National Park in Zambia that had its own cave! The Lochinvar baobab and my daughter. 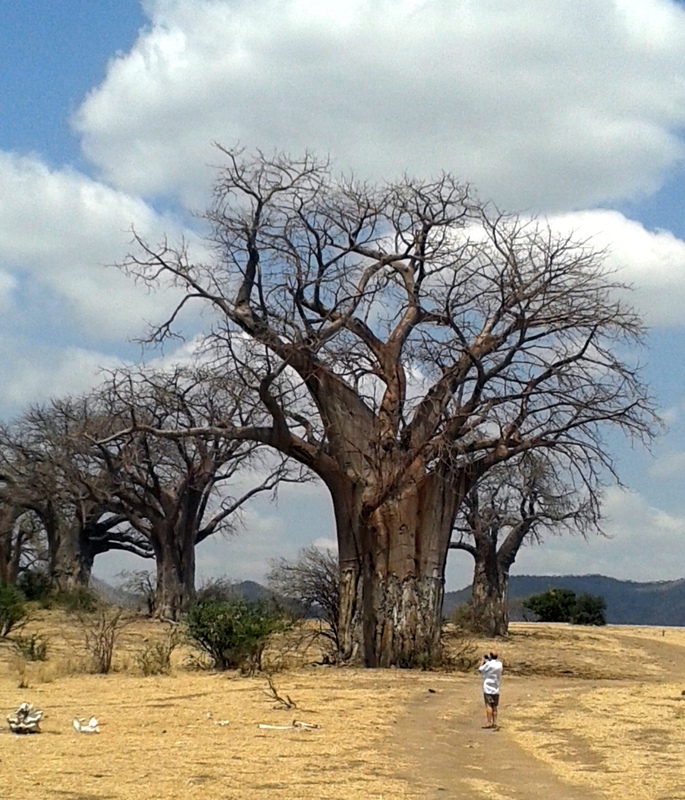 The Lonchinvar baobab with a younger (and sillier) bushsnob and my friend Bruno. 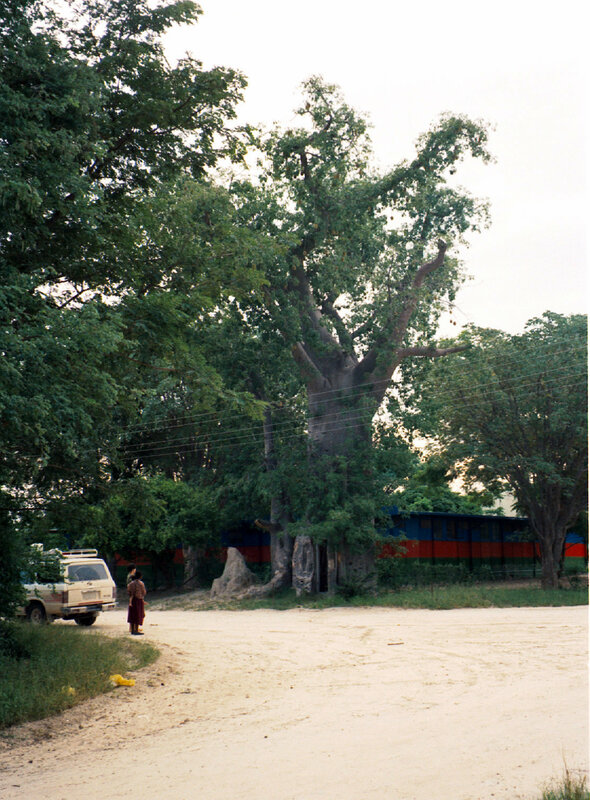 Signs of elephant damage are clear at the base of the trunk. 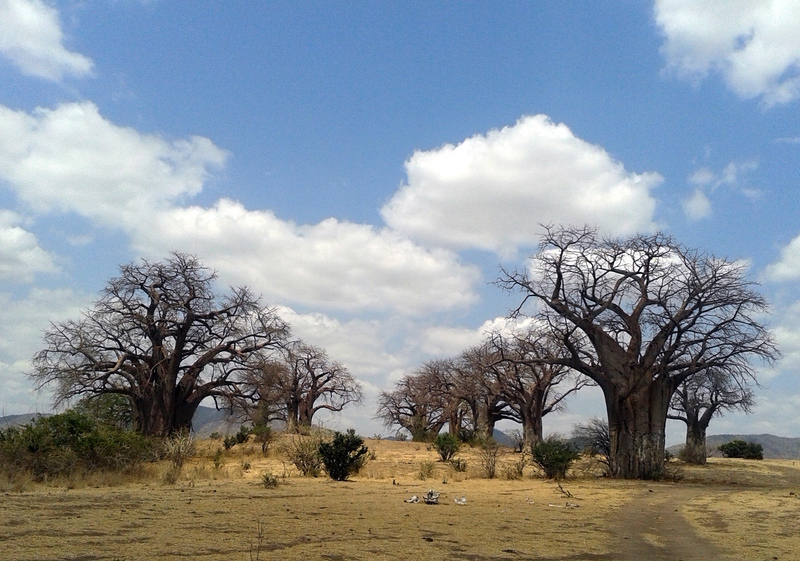 In my post “Chitake” I mentioned that on the morning of the second day we went for a drive and found a hill with baobabs. 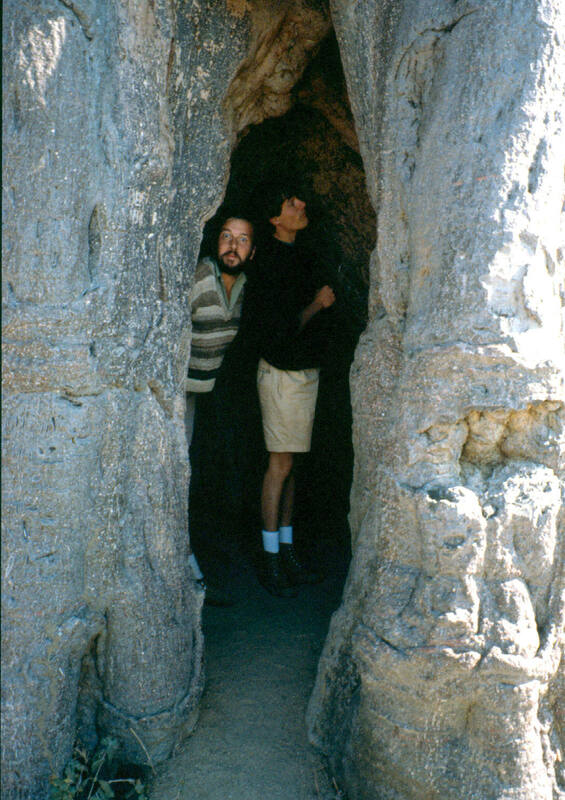 This was the location of Chitake 2 campsite and -I believe- the place where Mr. Evergreen was killed by the lions. This windswept hill, apart from the trees, offers stunning views of the middle Zambezi valley, all the way to the escarpment. The trees stand like sentries to the valley below and I would be surprised if it did not have some religious connotation to the early inhabitants of the area. 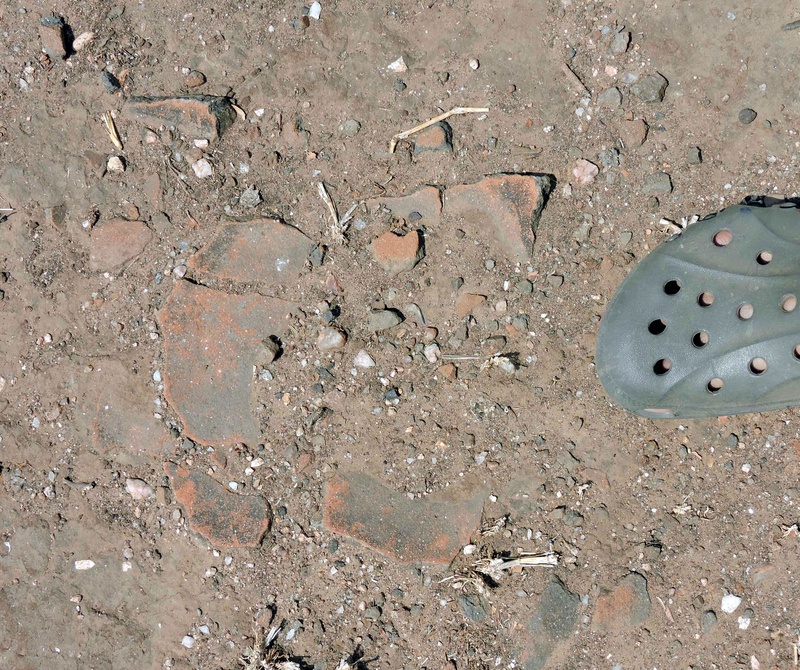 It may be that the pottery fragments we found among them may have something to do with this but it is difficult to say, as we were not able to estimate their age or origin. A least to be there at sunset was a wonderful moment. Some of the broken pottery found. Searching the Internet I learnt that these baobabs, that are not in Walker’s book, are known as the “Twelve Apostles” but I was not able to find out more information about them. What I can say, though, it is that we counted thirteen! Was Mary Magdalene not counted? 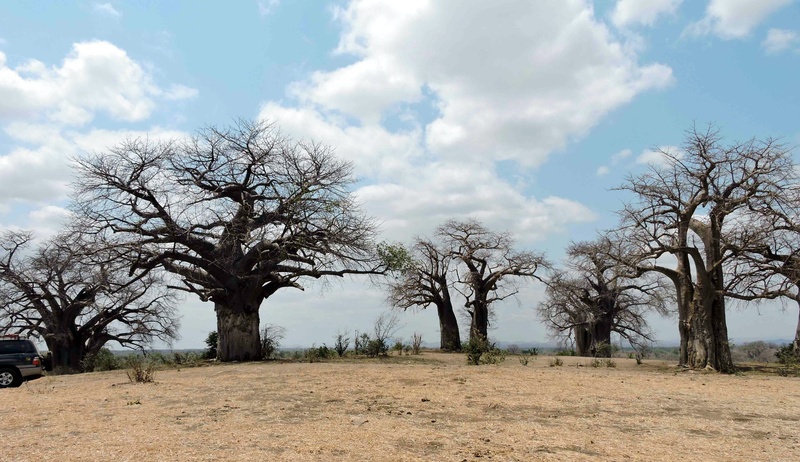 Clearly this gives us an excellent excuse to revisit the place to do a proper baobab census! Walker, C. (2013). 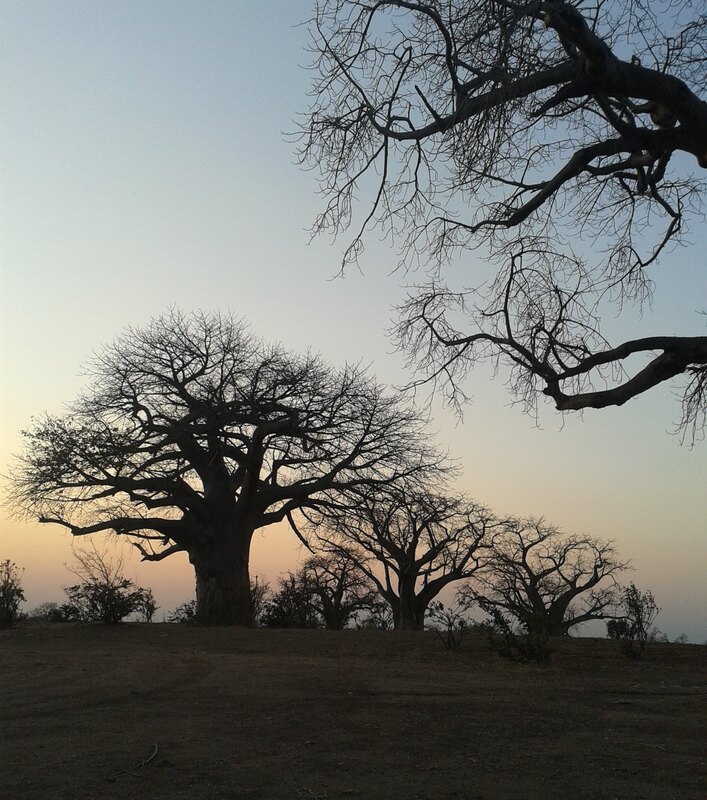 Baobab Trails. An artist’s journey of wilderness and wanderings. Jacana Media (Pty) Ltd. South Africa. 287p. The campsite is now at another place with more protection from the wind.